We welcomed the return of Travelling by Tuba to school on 7th February. 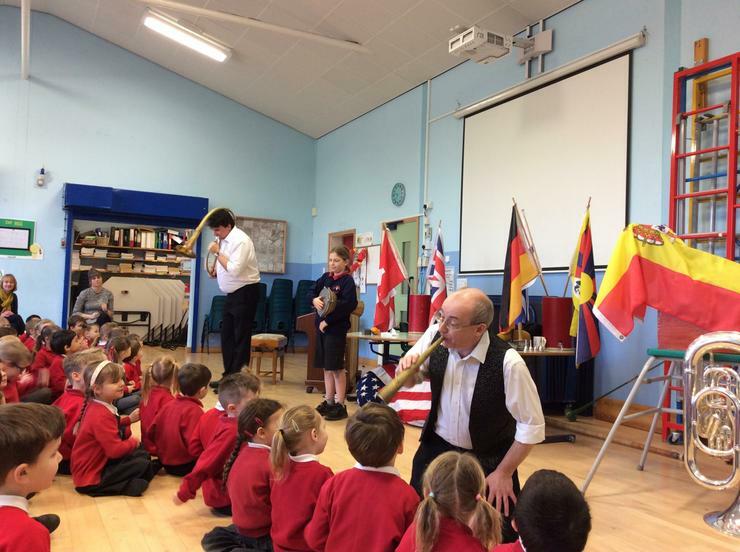 This time, Chris and Stuart performed musical instruments from around the world, helping children to discover how brass instruments worked, and to see unusual instruments from different cultures and times. Later, everyone had a chance to take part in a workshop learning to play as a group, practising rhythms and performing to the school and their parents. 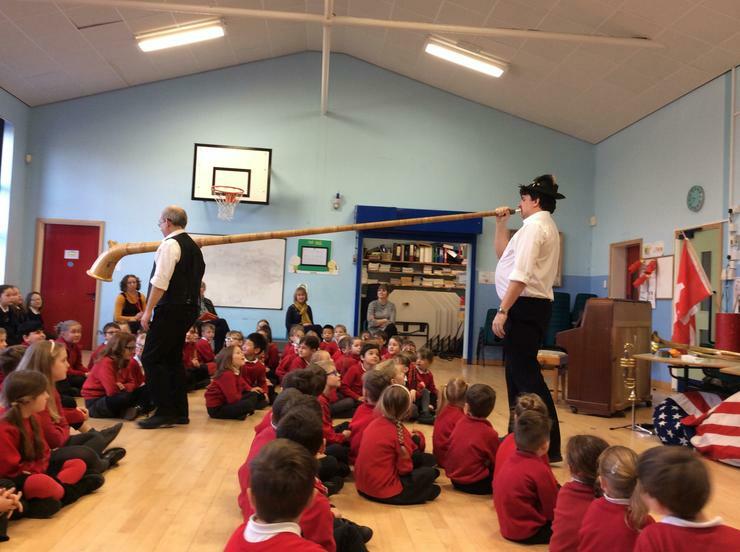 Here are a few photos from the morning concert, and there are videos of the workshops on the parent page, under Fen Drayton videos.